Are you new to graph databases? Here's a quick note to let you dip your toe into a simple search/filter operation on nodes and edges. I talked about high-level and low-level data operations. So far, all we have seen are very low-level operations (get node, get edges for, etc). Let us see how we’ll deal with a bigger challenge. 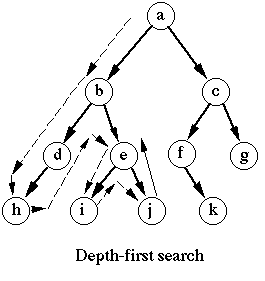 In this case, we want to implement a classic graph operation, doing a depth first search, filtering by both nodes and edges. In the real world, we’ll need quite a bit more. On each node (and edge) we’ll need to decide if to return it from the query, or just traverse through it, etc. And that is just to start with. But I think this demonstrates the point of how to layer behavior on top of the lower level database operations. There is one thing that we need to talk about still, this code will actually use a lot of individual transactions, one for each independent operation. That is quite expensive, we can open a single transaction and pass it to the functions we call, so there is just a single cost for the entire duration of the operation. Other things we can do is to explicitly designate specific scenarios as important and change the design so we can answer them very quickly (as in the O(1) cost for accessing nodes/edge data).